As the new year approaches, our library of games expands as per usual, and for Battle Royale fans that’s a good thing. One can only play so much of PUBG or Fortnite before feeling the urge to explore other games in the Battle Royale genre. Because of how popular it is, the range of titles available online and via Steam that’s Battle Royale in design is staggering. Most are either clones or copies, but there are a few hidden gems out there that innovates beyond what PUBG or Fortnite offers. Here’s our picks of best Battle Royale games to play in 2019 that’s not PUBG or Fortnite. Want a futuristic shooter with a more strategic approach to Battle Royale? Then this one might be worth keeping an eye on. Stormdivers is a 3rd person multiplayer centric shooter game, featuring chaotic battles and volatile explosions amidst a recurring nano-storm that swallows the beautiful and lush island surroundings to explore. Daring teams and solo operators who are brave enough to dive into the eye of the recurring nano storm are trying not only to survive the competition but also the island itself, with endless threats looming around every corner. Only the strongest will make it out alive, with riches and rewards the island has to offer. While there isn’t a solid release date, it’s definitely arriving in 2019, and you can keep up to date on release news over at Steam. Players that want a more fleshed out Battle Royale game in terms of community interaction and gameplay with Fortnite style graphics might enjoy Darwin Project. The Darwin Project takes place in a dystopian post-apocalyptic landscape in the Northern Canadian Rockies. As preparation for an impending Ice Age, a new project, half science experiment half live-entertainment, is launched. It’s called the “Darwin Project” and it challenges participants to survive the cold and fight to the death in a treacherous arena. The Darwin Project offers a competitive multiplayer third person survival experience featuring at its core a new gameplay innovation: the manhunt. In his or her path to victory, a player must survive extreme environmental conditions, track opponents, and set traps in order to win. Not only is it free to play, it’s also available of Steam right now. 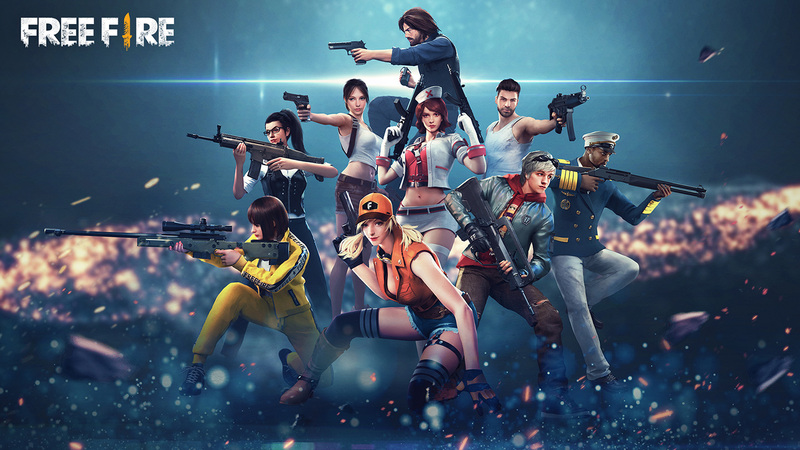 If mobile is what you prefer (you smartphone junkies), then an alternative to PUBG Mobile is Garena’s own Free Fire. Free Fire while similar in may ways to PUBG from gameplay to aesthetics, takes a lot more effort in providing a more polished and optimized performance on your phones. In addition, the game also has a large roster of characters that players can choose from, which gives your persona some form of identity. As for weapons and vehicles, the choices aren’t bad either, and the website goes into a ton of detail about the pros and cons of each. The down side is probably the amount of maps, but it’s still a decent game that runs great on mobiles if you’re looking to add to your Battle Royale collection. If you own a VR headset and are bored of the generic horror titles that seems to be aplenty for VR headset owners, how about a generic VR Battle Royale game instead? Stand Out’s VR game first and foremost, is most definitely a PUBG knock off – or at least that’s what it felt like to us – but it gets the VR element right. The game feels immersive, explosive and it really gets the adrenaline pumping in VR. And since no other BR game out there uses VR, that sets Stand Out apart, hence the game’s name. While it isn’t free like most on this list, it’s definitely worth a shot if you want to try out some virtual reality stomping.